Before entering any new markets or industry, business or an organization must undergo segmnetation analysis and decide upon whether to enter a market or not and whether to serve mass markets or particular segmnets. The study basically aims to consider the success and survival of the new low cost airlines in the Australian avaition indutsry which is already facing tough competeion form thearios market leaders like Quantas, tiger, etc. 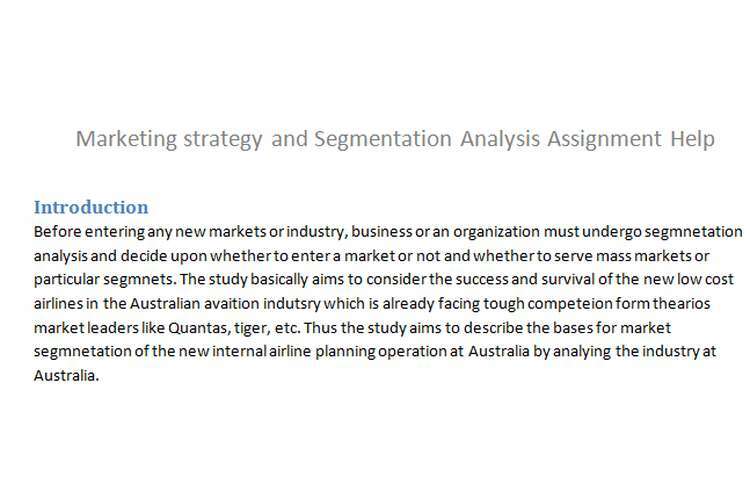 Thus the study aims to describe the bases for market segmnetation of the new internal airline planning operation at Australia by analying the industry at Australia. With the recessionary trends in the economy and the rising aviation fuel costs, the industry during the past few years have been changing and there had been a trend towards the price competition in the industry. Also strengthening of the currency at Australia and the recessionary trends in the economies around the world made the travelers to book international flights rather than travelling in Australia itself which impacted the demand of the domestic flights badly and thus the major industry players like Virgin and Qantas had been slashing prices to attract flyers and thus industry is facing a trend towards price competition in domestic flights. Thus Domestic Airlines industry at Australia is basically involved in transfer of passengers from one to other destinations at Australia and carriage of freight. 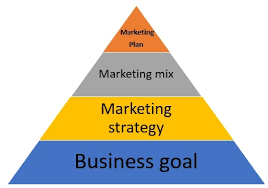 In the marketing, segment refers to a group of people or customer that behave in identical manner and thus may be reached by a particular message or marketing technique. The marketers are interested in segmentation of the market in order to club the market in to segments and then choosing to serve mass markets or particular segments of markets and designing strategies to tap the potential of that particular market segment. Price sensitive customers are those individuals who are more concerned about prices rather than destinations and flight schedules, etc. It consists of most of the tourist which are young and travel for a duration length of around 10 days to various destinations and that they choose for low budget hotels for accommodation. Also this segment may not purchase flights in advance or in an organized manner but are rather independent travelers who seldom plan visits and travel bookings are through internet (Denton, 2011). Destination and flight conscious customers are those which place focus on the quality of the items involved in the tour and the type of destinations. This segment include some young tourists but mainly senior citizens who wish to have good quality accommodation, here the purpose may be vacations, visiting familiars, educational, etc. thus these kind of tourists are usually involved in planning and purchase of tour packages in organized manner. Business class and non sensitive customers are those customers in the aviation industry that desire high level of luxury and comfort in their travels and their choice of accommodation is exquisite and giving facilities like conference halls, internet connectivity, etc. Thus price is not a determining factor in their decision making for choosing a flight operator rather the focus is on the services provided by the operator. These segment plans their accommodation in star hotels and luxury resorts and the purpose may be business or holidays. This segment turns out to be loyal to the marketers as they are seldom sensitive to offers by low cost or budget operators in the industry. Educational second home customers are those which consider prices provided by the airlines operator and other services to a moderate extent however price is somehow important in their decision making, such customers travel to destinations for long durations as may be for having education or stays with their familiar people or relatives. Here the duration is stay is quite longer and they may choose rental homes in case they are visiting for educational reasons (Ross et al , 2008). As per reports of Datamonitor, in 2011, 12 airlines were operating at Australia however the major operators in the industry turn to be Qantas which is leading in terms of carrying capacity at Australian aviation industry followed by Virgin Australia as shown in graph below. Qantas airways is the second old operator in world industry and revenue accounts for a erspective 13th position in the world industry (Knibbb, 2011). It is the oldest operator in australia and company is positioned as providing authentic and trusted services to flyers with good infrastructure failities. Jetstar airways is positioned as providing value for money flights and providing flights at as low prices as 9$. Upon the deregulation in case of Australia in the nineties, thus the airline operators started to operate on low cost models but soon they were absorbed by the Qantas group while innovation from the Virgin group starting low cost operations are functional till date. However with the newer low cost operators gaining rights of operations in the industry like Tiger airways, the competition is getting fierce for new operators. A decade ago, there were no major international players in the Australian Aviation industry like Emirates, etc but most of the flyers now wish to travel with them and somehow the du-poly of Quantas and Virgin Australia has come to haul. The future of the budget airlines in Australia is bright and that reports say that international operators like Easyjet, Air Berlin, Ryanair, etc are dominating the domestic budget markets (Denton, 2011). Also as the aviation fuel prices are soaring, the flyers may consider travelling in the fast rails from Melbourne to Sydney through Canberra. Also as this is one of the most busy business routes across the world destinations, thus the international players including the Arabian giants like Emirates are having an eye on entering the low cost or budget segment of the airline industry. Though Quantas have the infrastructure and set up of terminals but customers are easily switching between brands for low prices as trends show. In the process of analysis of the aviation industry at Australia an considering the entering of an international aviation operator in the industry which is already facing fierce price competition as the customers are less brand loyal. Qantas and Virgin Australia are the leading operators in the Australia aviation industry but the trends speaks the entry of major international giants including Emirates which will be gaining shares in the budget domestic airlines segment at Australia. The low cost flyers have been segmented in the study based on the preferences and user demographic factors. Thus considering entry in the low cost airlines segment in the Australia, the competition is already tough and must be considered before entering the industry.